Online Penetration Testing Training ROPGenerator ROPGenerator is a tool that makes ROP exploits easy. It enables you to automatically find gadgets or build ROP chains. The current version supports x86 and x64 binaries. It uses the tool ROPgadget to extract gadgets from binaries and the barf-project to disassemble them. After gadgets are extracted, it analyzes them in order to compute their semantic and stores them according to their usefulness. Once the analysis is done, you can request ROPGenerator to automatically find gadgets or ROP chains by supplying semantic queries. It is written in python. The tool has python2-only dependencies so it runs under python2 so far. 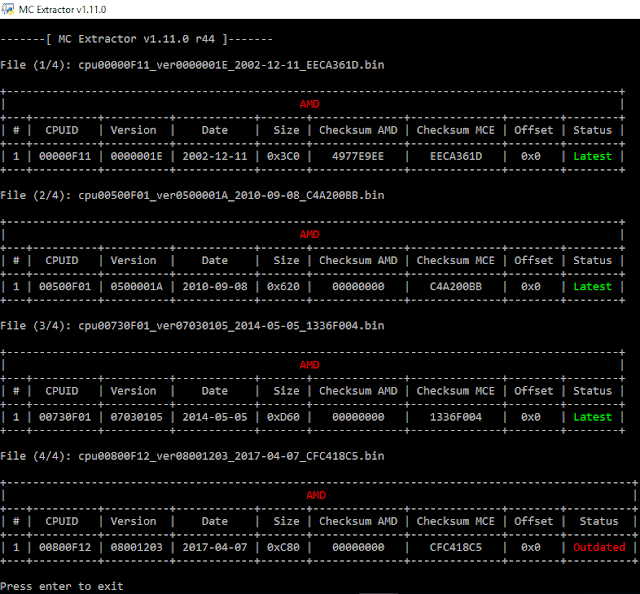 MC Extractor is a tool which parses Intel, AMD, VIA and Freescale processor microcode binaries. It can be used by end-users who are looking for all relevant microcode information such as CPUID, Platform, Version, Date, Release, Size, Checksum etc. It is capable of converting Intel microcode containers (dat, inc, h, txt) to binary images for BIOS integration, detecting new/unknown microcodes, checking microcode health, Updated/Outdated status and more. MC Extractor can be also used as a research analysis tool with multiple structures which allow, among others, full parsing & information display of all documented or not microcode Headers. Moreover, with the help of its extensive database, MC Extractor is capable of uniquely categorizing all supported microcodes as well as check for any microcodes which have not been stored at the Microcode Repositories yet.